Use these upgrades to improve your car’s performance. When it comes to keeping your vehicle in great shape, it’s imperative that you keep your engine in peak condition. However, even with the best of care, there are a few additional ways that you can improve your engine’s performance. Check out these engine upgrades so that you car functions to the best of its ability. Your spark plugs are an influential aspect to how your car functions. It helps give your engine the little jolt that it needs to get going. However, the type of plug that you use matters. The better that your spark plugs can conduct energy, the more efficiently your engine will work, which will help to boost performance. Invest in copper spark plugs so that you can best conduct energy. When it comes to your engine, it’s important to use the right kind of oil. The oil helps to lubricate your engine so that it runs smoothly and efficiently. While regular oil will do the trick, synthetic oil goes the extra mile. 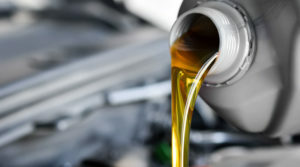 If you’re looking to improve your vehicle’s performance, you need synthetic oil to withstand the stress of your engine. Your engine is susceptible to acquiring all sorts of dirt and debris while out on the road. However, a dirty engine reduces your vehicle’s performance. Keep it as clean as can be by regularly changing your engine’s air filters. That way your engine performs at its best. When it comes to your car’s performance, ensure that you’re doing all that you can with the right upgrades. When it comes to keeping your car safe, ensure that you’re protecting it with the right auto insurance. Contact the professionals at Robert J. Los Insurance Agency to find you the right insurance. Located in Hamburg, New York, we serve all your personal and commercial insurance needs.